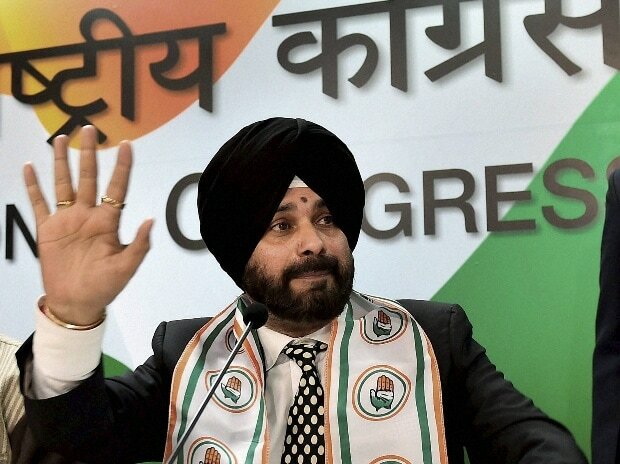 The Opposition Shiromani Akali Dal Monday sought dismissal of Punjab minister Navjot Singh Sidhu for his "utterances" in the aftermath of the Pulwama attack even as Akali leader Bikram Singh Majithia and the cricketer-turned-politician exchanged barbs in the House. Before the start of the Punjab Budget session, Akali leaders led by Majithia burnt the photographs of Sidhu including those in which he is seen hugging the Pakistan Army chief, outside the House. Sidhu visited Pakistan to attend the oath-taking ceremony of Khan, a cricketer-turned-politician, on August 18 last year. "Before everything else, we want to know the clear stand of the Congress and the Punjab government. Do they condemn Pakistan Army Chief and Pakistan Prime Minister Imran Khan," Majithia asked while speaking to reporters outside the House. After passing a unanimous resolution in the House for condemning the Pulwama terror attack, Sidhu was still saying, "You cannot blame Pakistan, you cannot blame individual," Majithia remarked. "We want Sidhu should be thrown out of the cabinet for his utterances," said former Akali minister. As the Question Hour commenced, SAD-BJP MLAs stood up and raised slogans against Sidhu. SAD-BJP legislators, who were wearing black badges, also tried to disrupt the reply of Sidhu by shouting slogans against him. Sidhu and Majithia were even involved in a verbal duel even as the Speaker asked them not to disrupt the Question Hour.